We're so excited to partner with the Fyzical Therapy and Balance Centers to offer a series of FREE group classes throughout 2018-2019. 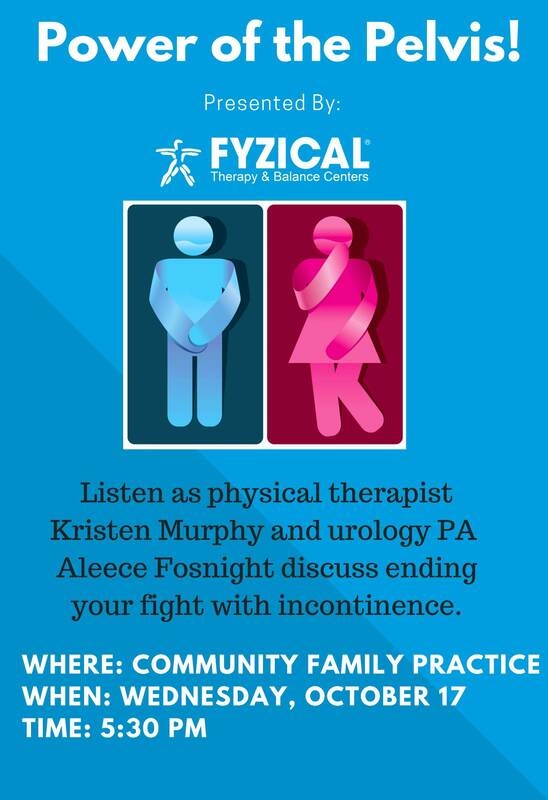 Our 1st Topic: (finally) Ending the fight with incontinence! Wednesday, October 17th @ 5:30 p.m.